Haha, I know. I can’t get enough of him. That part caught my attention instantly. I was thinking, ‘when is Rin going to appear?’ the entire time. Does that mean Rin’s special? 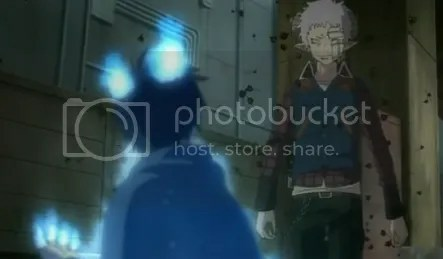 Is it a blessing or a curse that he’s the son of Satan with blue flames? 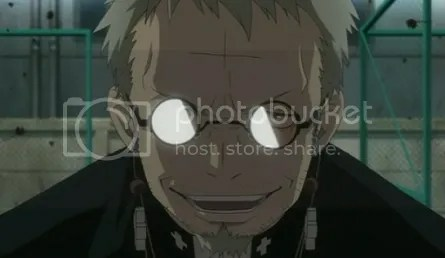 Yukio’s too nice. Even with all the additions not inthe manga (the store manager), I still liked the first episode of the anime! I’m getting excited on the “being exorcist” part already XD. 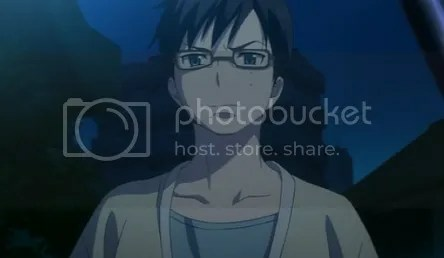 Lol, it’s got me thinking that Yukio might also have the blue flames but they’re dormant at the moment. 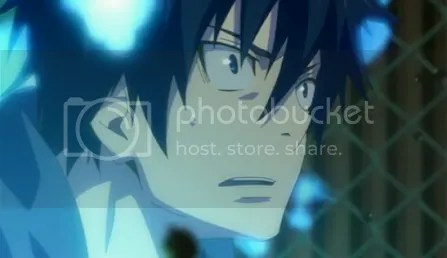 *peeks from a corner* *quietly sneaks in, feeling ashamed of returning after such long time* *mingles with crowd* so ehem, yeah ao no exorcist seems pretty interesting, actually, the only one that caught my eye from the new series airing. I’ve only managed to watch one and a half episodes though..
You didn’t get to finish the other half to make it two episodes? haha.